A beautiful hand-turned bowl crafted from solid oak. The bowl has a raised central island to hold a tea light, surrounded by a carved out moat that is ideal for serving fruit, nuts, nibbles or biscuits. 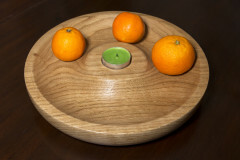 It has been finished to a silky texture and coated with several applications of a food- and child-safe mineral oil, similar to that used on chopping boards. 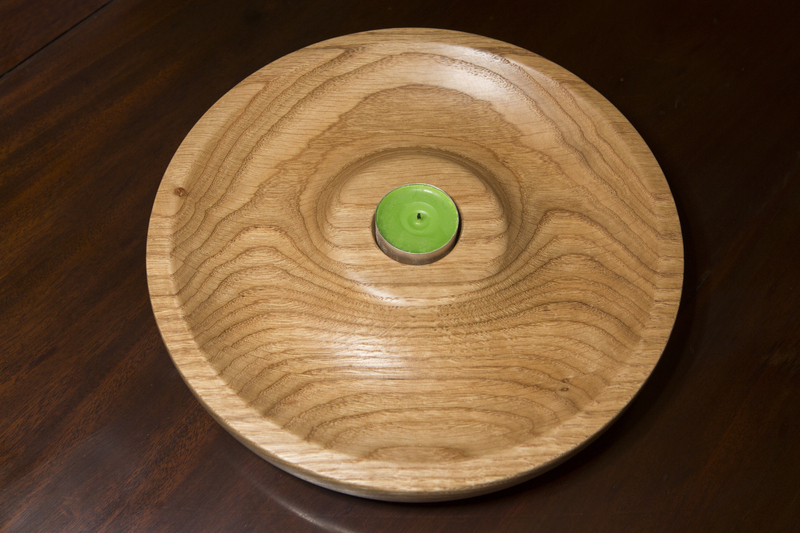 The bowl measures approx 25cm across, with a depth of approx 4.5 cm. * Each bowl is hand-made and unique. 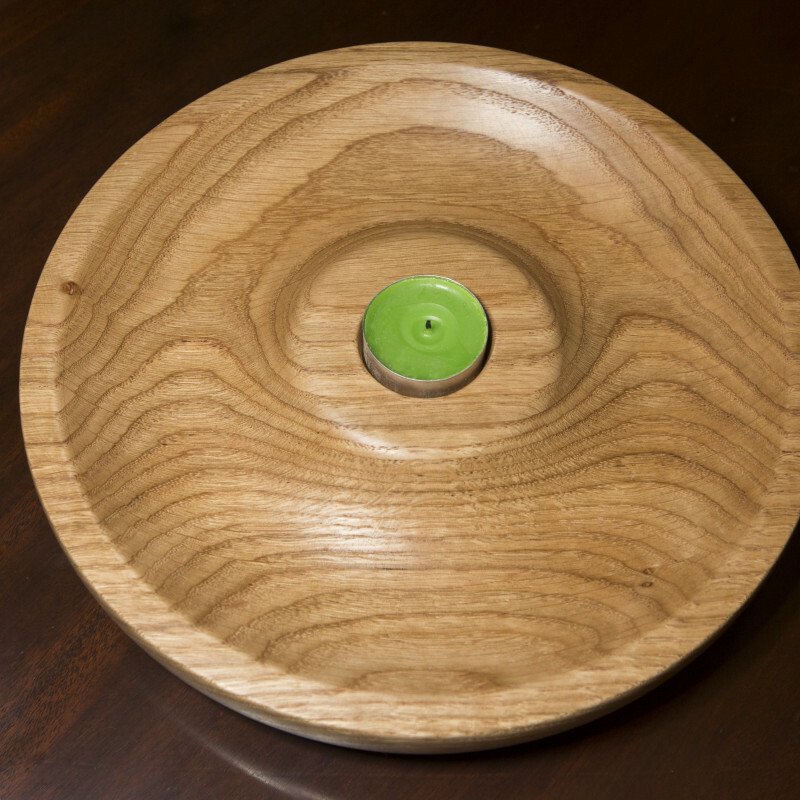 The one shown demonstrates the style and finish but each item will vary very slightly. 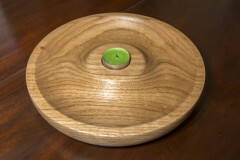 You will receive a bowl very similar, but not exactly identical, to the one shown. NB: The tea light is included!